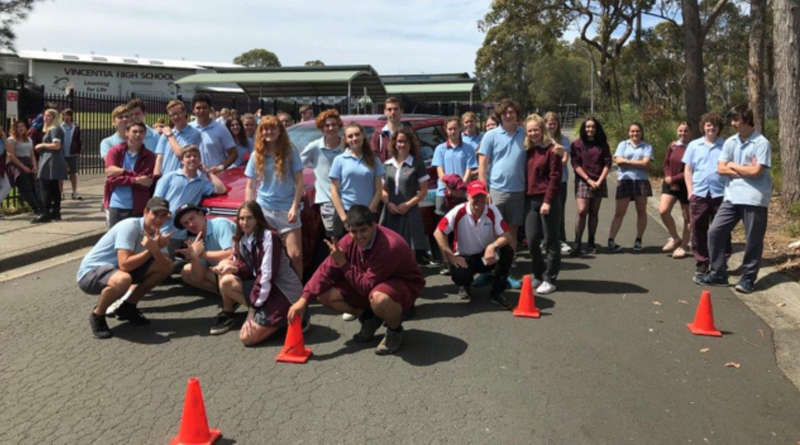 On 25th October 2017, at Vincentia High School, over 50 students took part in a driver training session sponsored by Sanctuary Point & Districts Community Bank Branch of Bendigo Bank. The program aims to change the attitudes of drivers aged 15-20, in order to decrease the risk of collision and risk taking behind the wheel in general. The flexible training modules include the Motorvation Bus with in-built motion simulators, ground-breaking online programs, entertaining discussion sessions, and time spent driving real cars. Well done to the students who attended this fantastic learning opportunity, we look forward to seeing your safe driving in the future!